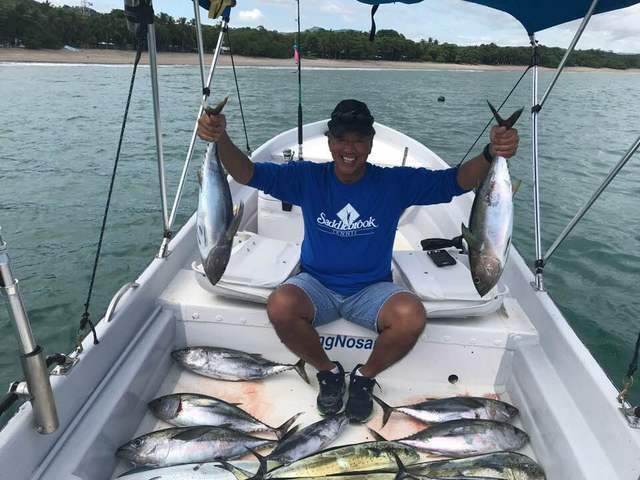 Robert Ong swung by the CR office and booked the Adventurer on July 15, and despite the low price of the 23-foot panga this angler brought home a great haul of fresh fish filets. If this pile went to the fish market, he would have come out far ahead on this charter. Amazing work by Captain David!